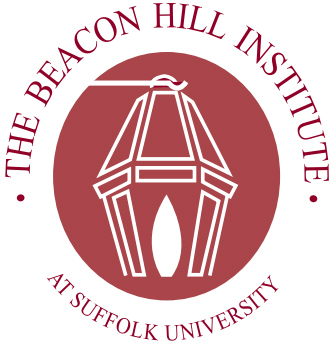 • The Beacon Hill Institute (BHI), a free-market think tank located at Suffolk University, frequently uses its State Tax Analysis Modeling Program (STAMP) to perform analyses purporting to show that lowering taxes, or not raising them, will benefit state economies. But STAMP suffers from a number of serious methodological problems and should not be relied upon by anybody seeking to under­stand the economic impacts of state tax policies. • As a “computable general equilibrium” (CGE) model, STAMP is grounded in a concept of perfect economic efficiency that bears little resemblance to reality. Moreover, the thousands of linkages between economic sectors built into STAMP are in many cases not well-studied and not subject to statistical testing. • STAMP’s unrealistic depiction of the public sector causes it to conclude that public investments like education and infrastructure are of relatively little value to state economies in both the short- and long-term. Government is modeled as a simplistic “pass-through” device that distributes tax dollars to households and discourages them from working in the process. This construction fits neatly with BHI’s stated mission to promote “limited government,” but it has also caused STAMP to produce estimates far out of line with more mainstream economic models. • BHI studies typically devote little if any attention to the impact of tax changes on government em­ployees. In those few cases where BHI has published sufficient data to allow for an assessment of STAMP’s modeling of public sector employment, the results have been extremely inconsistent. STAMP has concluded that a $1 million cut (or increase) will result in the firing (or hiring) of any­where from 1 to 37 government employees. This huge degree of variation raises questions about the model’s robustness. • BHI has built into STAMP an assumption that high-income workers are extremely sensitive to changes in income tax rates, and that those workers are far more sensitive than their lower-income neighbors to such changes. Both of these assumptions conflict with the findings of the nonpartisan Congressional Budget Office (CBO) and other experts. • STAMP assumes that businesses’ choice between hiring additional employees versus purchasing more machinery is heavily influenced by tax policy. Again, the degree of sensitivity to taxes assumed in STAMP is out of line with the best available estimates. • STAMP also assumes that consumers will quickly and dramatically shift their consumption toward out-of-state goods and services if prices in their own state rise as a result of a tax increase. This as­sumption is very loosely based on a pair of studies published over two decades ago that relied on national and international economic data. It ignores newer, state-level data that indicate a substan­tially lower level of responsiveness. BHI also assumes that consumers in different industries behave very similarly to one another, despite evidence in the literature (including the studies cited by BHI) that indicate this is not the case. • STAMP is incapable of estimating how a tax change will affect a state’s economy in the time period immediately following its enactment. The way in which BHI presents its results often gives the im­pression that the economic impact will be instantaneous, which makes tax cuts, for example, appear less costly than they actually are in the short-term. This has also allowed BHI to mask the fact that some tax plans they believe would be economically beneficial are guaranteed to shrink the economy in the short-term. • STAMP’s methodological shortcomings are reflected in its unreliable results. STAMP’s findings have been contradicted by academic researchers, state revenue offices, and the actual track record of states that have followed BHI’s recommended low-tax path.